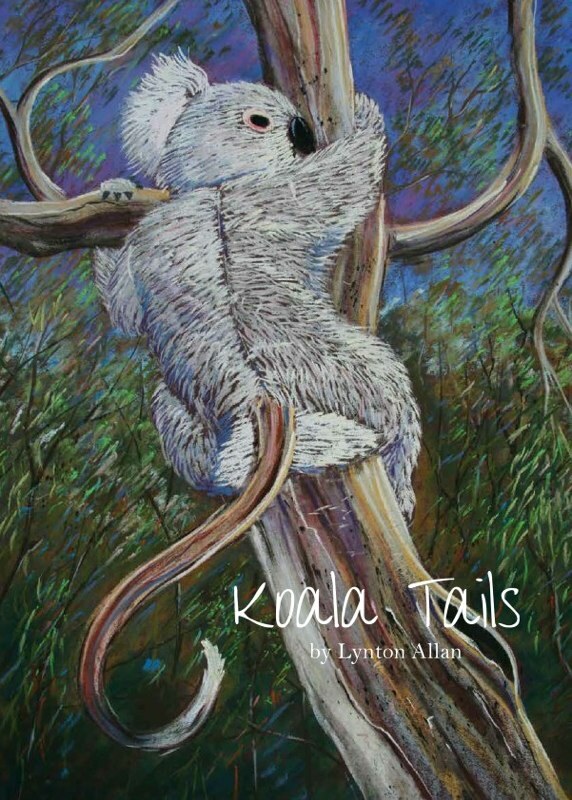 Koala Tails explores the the issues of self-acceptance and self-worth in a fun and non-didactic manner and would be useful in any home, pre-school or primary school to assist in the very important task of assisting children to develop a healthy self-esteem. Grumbles the koala is a likeable character but believes he is ugly and that no one will want to play with him because he has no tail. In an effort to remedy this Grumbles heads off for the tail shop, 'an old gum tree covered in stringy pieces of bark'. In a choose-your-own ending style, readers select a tail for Grumbles who then meets the owner of a similar tail. Grumbles soon discovers that he doesn't really desire the way of life the tails offer. The stand-out feature of this book is Lynton Allan's illustrations. Full of the vivid colour of the Australian bush with striking blues, greens and oranges, and featuring the unique wildlife, the illustrations will be enjoyed by young and old. Lynton Allan is a visual artist and storyteller who is available for presentations in schools and the community. He is available to paint on commission and original art, prints, and gift cards are for sale. For further information go to the Sketch n' Tell website.